New York City has a long and sordid history with its homeless. While the city has been attempting to deal with the problem for years, the issues still persists. In fact, since 2006, the number of homeless people have steadily risen, reaching all-time highs of over 58,000 homeless people sleeping in shelters each night. And those numbers don’t account for New York’s homeless who seek refuge on the streets. 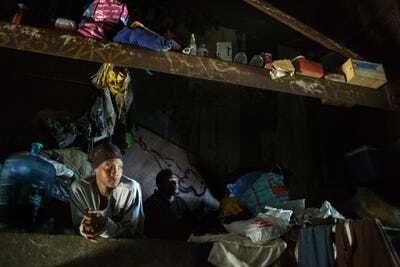 Photographer and filmmaker Andrea Star Reese discovered a community of such people, living in makeshift dwelling inside a 2.5-mile long Amtrak tunnel on Manhattan’s west side. Over the course of 7 years, Reese met and photographed many of them, gaining intimate access to their lives. She found that the people she met, mostly shunned by society and living in relative squalor, were strong, resilient, and had knowledge to share. “They took care of one another, saved lives, stood together against predators and extended comfort to the damaged, to the sad,” Reese tells Business Insider. Reese’s work has been compiled into a new photo book, titled “The Urban Cave,” which will be made available soon. You can see more photos can been seen on her website and on her Kickstarter page. 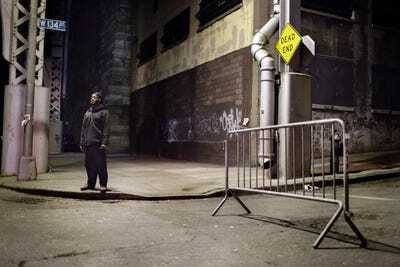 The section where the homeless seek shelter is a stretch of tunnel that runs 2.5 miles from 72nd street to 122nd street in Manhattan, directly under Riverside Park. It was used for freight trains until 1980, after which a well-documented shanty town evolved at its south end, reported to house roughly 100 people. 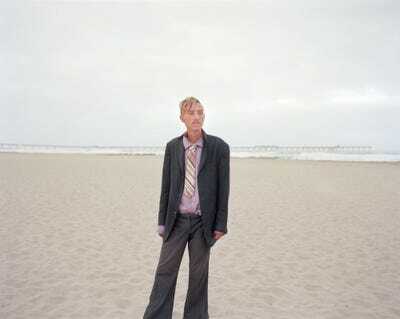 Chuck waits for his companion. 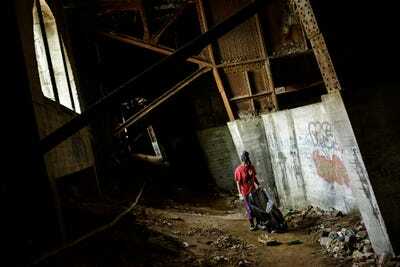 In 1991 it reopened for use as an Amtrak tunnel, triggering a massive eviction of the homeless living there. 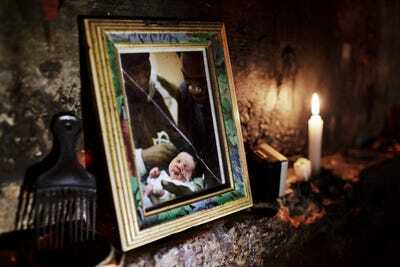 But as time went on, more people moved back in, making homes in small crevices and in rafters. Chuck shares his small but well protected makeshift home, high up in the walls of the tunnel, with his companion Lisa. Reese was in need of a subject for photojournalism class she was taking in 2007, and recalled the evictions in the tunnel during the '90s. She decided to explore the south end, the opposite end of the tunnel where the evictions occurred. Chuck's first home in the tunnel was near Brooklyn, New York. 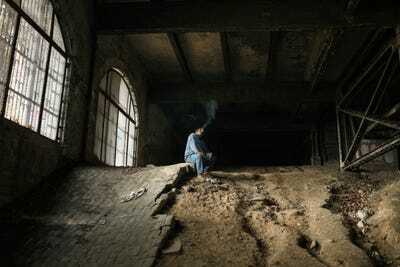 Upon entering the tunnel through an opening in a fence, Reese found signs of people living in the rafters. She called up to them, but no one was home. When she returned the next day, she met Chuck and Lisa. Lisa and Chuck watch as someone enters the tunnel. Sometimes people who come to paint graffiti are afraid of them and alert the police which can lead to an eviction. Other times they have been robbed. At the time Lisa was very pregnant. The couple said they needed a photographer to document Lisa's pregnancy and to capture the fleeting moment when they would be a family, before the baby would be taken to adoption services. Reese went with them to the hospital and for the next seven years documented Chuck, Lisa, and many others whom she met in the tunnels. A photograph of one of Lisa's eleven children. Reese says that the inhabitants of the tunnel allowed her into their world because they wanted their lives and plight to be documented. 'The men and women involved understood why the photographs were necessary for a complete and balanced story,' she says. She says she never knew quite what would happen or who she would meet. 'I just followed them,' Reese says. Brooklyn lost her house in upstate New York when she could not pay the mortgage. Chuck and Lisa met at a recycling truck, where she told him about her abusive boyfriend at the time. Chuck offered to let Lisa stay with him and to protect her from her boyfriend. Lisa had been down a hard road, giving birth to her first child when she was 14 and being in and out of rehab programs 15 times. Lisa, several months pregnant, collects some things for the baby she will have. 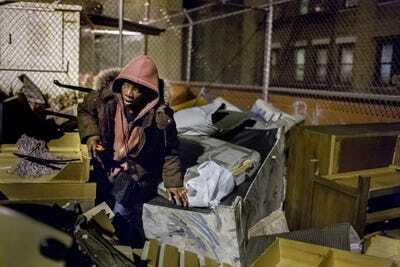 Country runs the dead end street known as the Bat Cave, where New York's homeless men and women gather. Brooklyn, who suffers from schizophrenia and depression, was evicted from her home and slept on subway tracks until she was robbed and beaten. She lived in a refrigerator box until some kids set it on fire with her inside. Later, she followed a pack of feral cats to the Amtrak tunnel, where Reese met her and photographed her. Brooklyn was mostly left alone by authorities because she kept her place free of debris. Brooklyn has lived in the tunnel since 1986. She found her home by following a pack of feral cats. Reese says the governmental aid set up to help the homeless is often times misguided and that the city shelters just don't work. 'City shelters are not viable solutions, when a box on the street or a dark corner inside a wall provides a safer, more private, cleaner, parasite free home,' she explains. Snow White moves into the Bat Cave to be 'sighted' as homeless by a CUCS (Center for Urban Community Services) outreach team. This is necessary for her to be placed in housing. However, Reese says that the Center for Urban Community Services, a non-governmental human services agency has been doing a lot of great work. But, problems still persist and Reese says that much more help is needed. One of Brooklyn's jobs is collecting bottles and cans. After 7 years of shooting in the tunnels, Reese's subjects left due to increasing raids by authorities. Reese says many have been housed, while others remain on the streets. She is still in contact with many of the families and individuals. 'Progress for all is slow, but they are trying,' she says. Chuck and Lisa are evicted from the Amtrak Tunnel. 'Now I am truly homeless,' says Chuck. Reese says during her time in the tunnel and with the people she met, she was constantly surprised and humbled. She said the people worked hard and shared the little they had with each other. 'These men and women were courageous, compassionate and generous,' she says, adding that she was never afraid for herself, only for them. One of Lisa's jobs is finding pretty things to sell. She is at risk for arrest and assault. Reese hopes viewers of her work will take away from it lessons about life, the same lessons that her subjects hoped to impart by allowing her to document their lives. 'All they asked was that I accept and tell the truth, all of it, even when it wasn't easy for them or me, in the hopes that young people who see this story will know that this is not the way to live,' she says. Snow White helps Krissy who is sick to dress. A drug dealer hit her.